Touch wood, I’ve never yet needed the skills, technology and care that puts Sheffield at the forefront of neurosurgery and neuro-medicine – in which, Neurocare plays an important role. I’m pretty certain though, that if I did, I’d be incredibly grateful for it, as are the many, many people who’s lives have been saved or dramatically improved by such facilities at Sheffield’s hospitals. My first career (aeons ago) was in pharmaceutical research, so the combination of real science and technological progress in healthcare is particularly appealing to me. 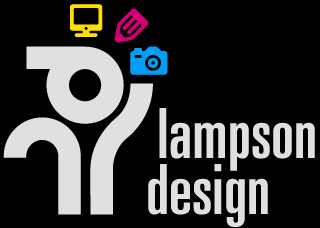 Over the years I have done work for Neurocare, including a website back in 2008, but always on a regular paid basis. Last year I was grateful to be invited to dinner with the Neurocare team and trustees as part of a brainstorming exercise around fundraising to bring the incredible ROSA Robot to Sheffield. Go to www.neurocare.org.uk to find out more about ROSA. 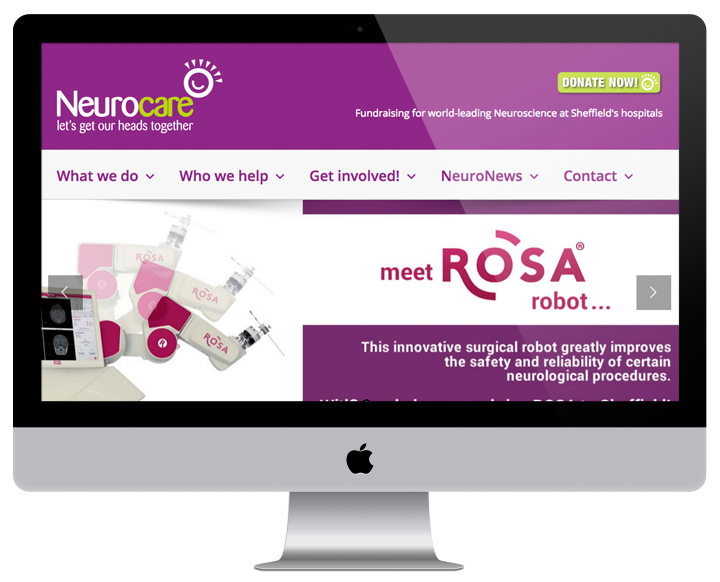 From that discussion, I felt that my most useful, practical contribution would be to build a new website for Neurocare, in time for the ROSA Robot appeal launch. As a one-man creative services business, building a website on this scale for free was potentially challenging, but I felt strongly enough about what Neurocare does to commit to doing so. And so I did. As a hard working and very proactive charity, Neurocare needs their website to fully reflect their aims and goals, encourage participation in fundraising events, increase the potential for donations, sponsorship and partnership, as well as tell the stories of some of the people who have benefitted directly from Neurocare’s fundraising over the years. All this in a website that is fully contemporary and responsive across all browsing devices, clear and easy to navigate, and fully manageable by Neurocare staff. I hope very much that I’ve succeeded in this and that the new site plays a strong role in supporting Neurocare’s fantastic work. I’m delighted to note that, just two days after publication, the new website is ranking on page 1 of Google for ‘rosa robot’. I’m happy with that result, as a starting point!